“There isn’t just one memory from JU that is my ‘favorite’ simply because there are so many memories I wouldn’t trade for anything. My overall JU experience provided an opportunity to break out of my shell, be myself, cultivate friendships, and find opportunities. I loved it so much, I extended my time there by two years,” Meers said. 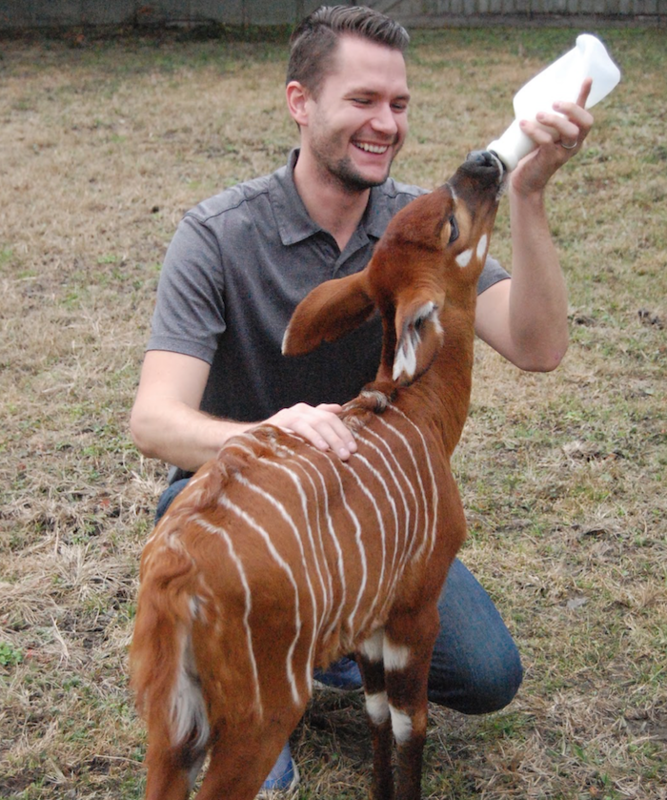 After graduating from JU, Meers began coordinating the conservation funding for the Jacksonville Zoo. His job also allowed him the opportunity to coordinate the zoo’s involvement in conservation work by getting them in the field and developing their understanding of current issues dealing with conservation. 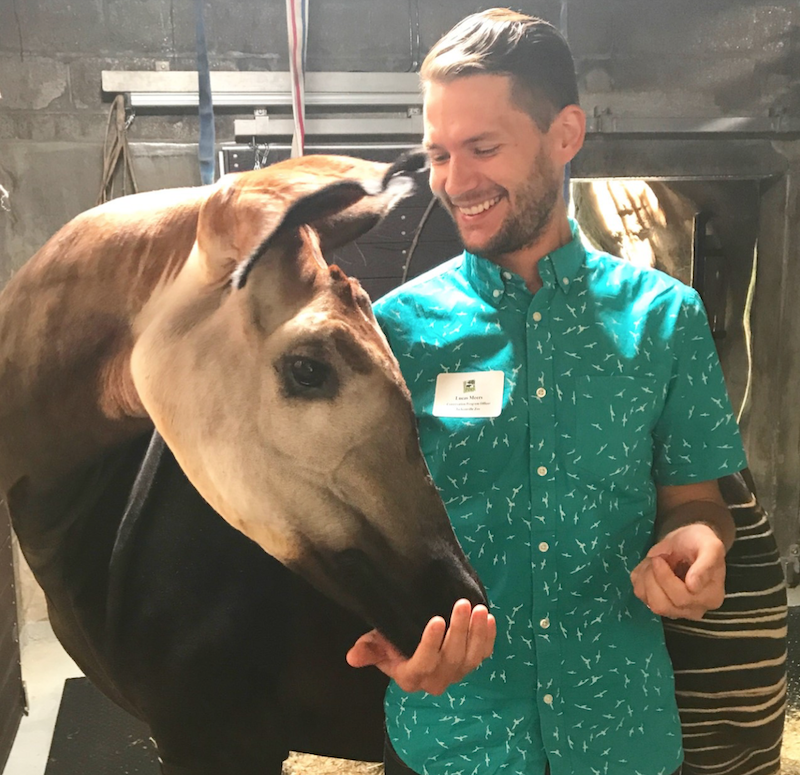 Half of his efforts supporting the Zoo are dedicated to the Okapi Conservation Project, which focuses on the Democratic Republic of Congo (DRC) and the protection of the endangered Okapi and its habitat. Through this program, they assist surrounding communities with sustainable living and education. Protecting the rainforests not only impacts the survival of wildlife but communities as well. 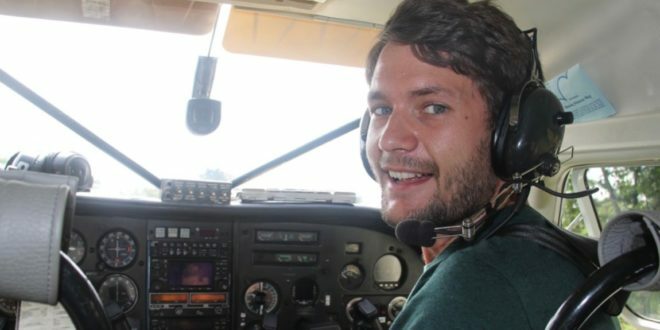 Through his conservation efforts, Meers has been able to make traveling a priority so he can experience new cultures and meet interesting people. One of his most memorable travel experiences was spending a night in the rainforest of the DRC among the Mbuti Pygmies. The Mbuti people are nomadic net hunters who have cohabitated with the ecosystems of the Ituri rainforest for over 40,000 years. 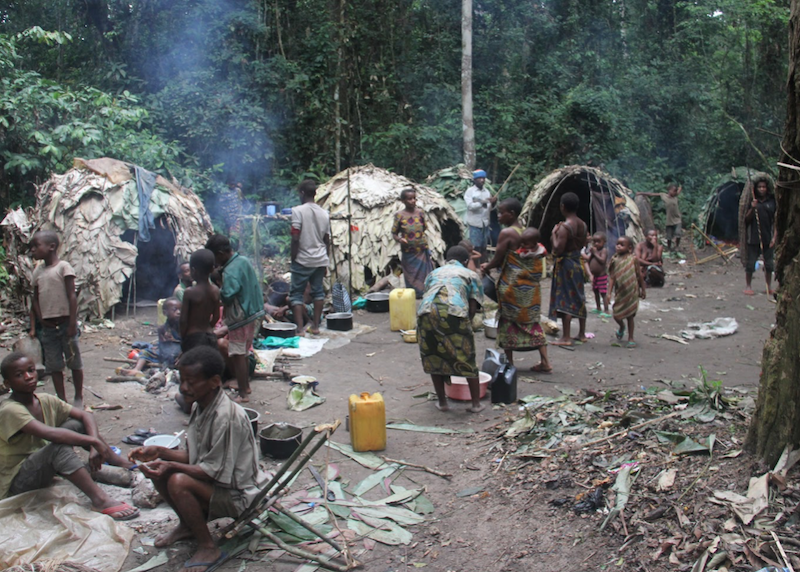 The population plays an integral role in the biological and cultural diversity of the region. The most interesting part of the trip, Meers said, was maneuvering a dual language barrier. He speaks broken French, the official language of the DRC, but the Mbuti people speak their own native dialect. If he needed to communicate, the rangers would translate his French into the Mbuti language, but much of their communication was nonverbal. “It is amazing how much you can communicate without the use of words,” he said. Now Meers realizes just how much JU has prepared him for the unexpected. One of his most valued takeaways, Meers said, is the diverse community of people at JU. Diverse races, beliefs, backgrounds, orientations, and genders. “Having a career working with people from incredibly diverse backgrounds and experiences from around the world, it is necessary to communicate and learn from those differences,” he says.